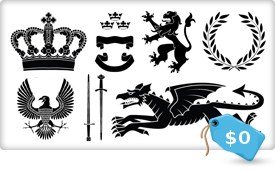 Crowns, wreathes, dragons, swords, banners & more. Make your images responsive and scalable for every device. Images have always been an integral part of our life since Adam & Eve. Images are impactful, self-explanatory and the best way to be expressive. A few years back we used to have images that we could not stretch or resize because it would decrease the quality of image. With the upgrade in technology, now we have vector images that we can use anywhere and on any device. With the availability of various screen sizes for devices, the scalability and responsiveness of an image is very important. The advantages of using SVG(scalable vector graphics) images are huge. To name a few: scalability, SEO friendly, editing ability, and resolution independence. The SVG format of images is especially advantageous and should be implemented in daily web design. The SVG format seems to have a bright and trending future. Also check out this amazing deal from Ultrashock & Design Panoply. 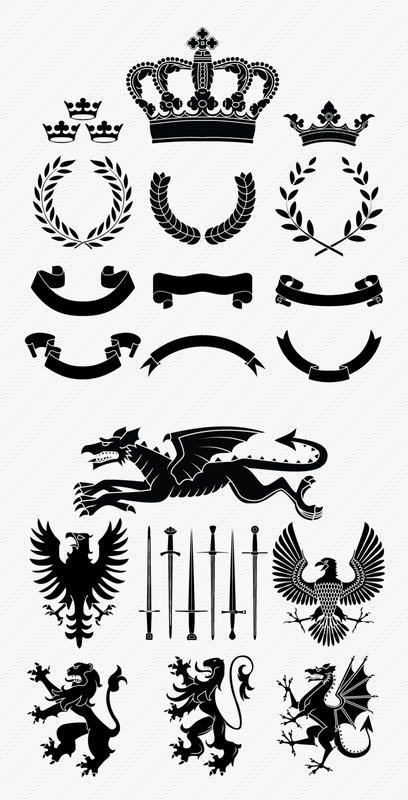 Ready to grab these vector images absolutely for free today?